An anemometer is a tool that measures wind speed. 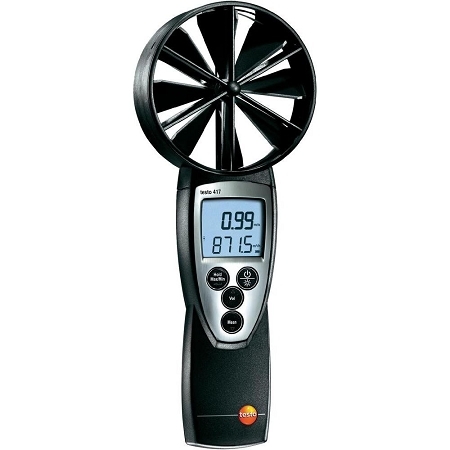 There are several types of anemometers available to measure wind speed but the most commonly used for HVAC vent readings are vane and hot-wire anemometers. Vane Anemometers - use propellers to take an analog or digital reading of the wind speed based on the velocity of the propellers rotation. WeatherFlow sells a smartphone vane anemometer and app that you can get here.